Marvel Comics loves throwing its superheroes against each other in flashy crossovers that shake up its fiction. But its latest tentpole event — this year's Civil War II — is struggling to keep us entertained or interested. There's a history of superheroes fighting each other that stretches back decades, all the way back to the Human Torch and Sub-Mariner's battles in 1940. It's standard operating procedure for large groups of Marvel Comics superheroes to argue over issues with punches and energy blasts. Results have varied with regards to major storylines using this device; some have been great and others not so good. 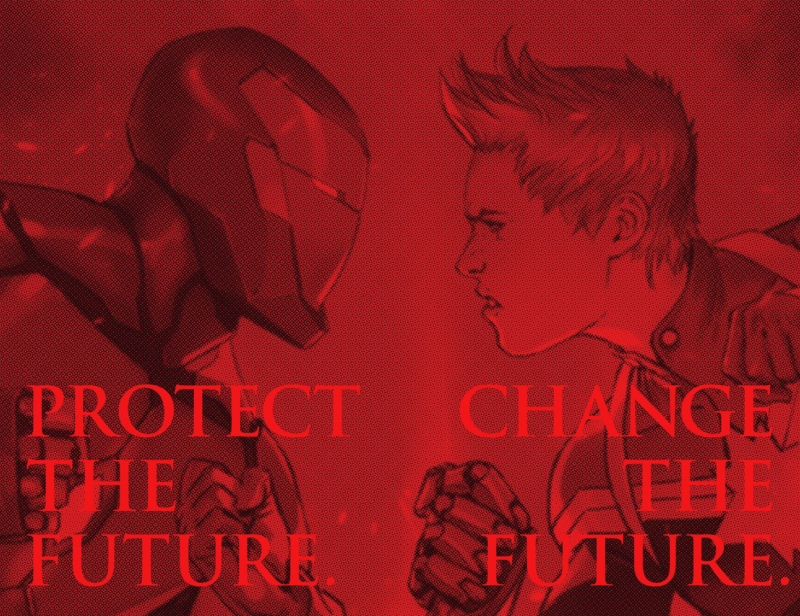 Written by Brian Michael Bendis and with art from David Marquez, Sean Izaakse, and Justin Ponsor, Civil War II is about the philosophical debate about what to do with foreknowledge of catastrophic events. Marvel's heroes have split into anti- and pro-interventionist camps, led by Iron Man and Captain Marvel. The whole affair feels flabbier than predecessors like Avengers Vs. X-Men. 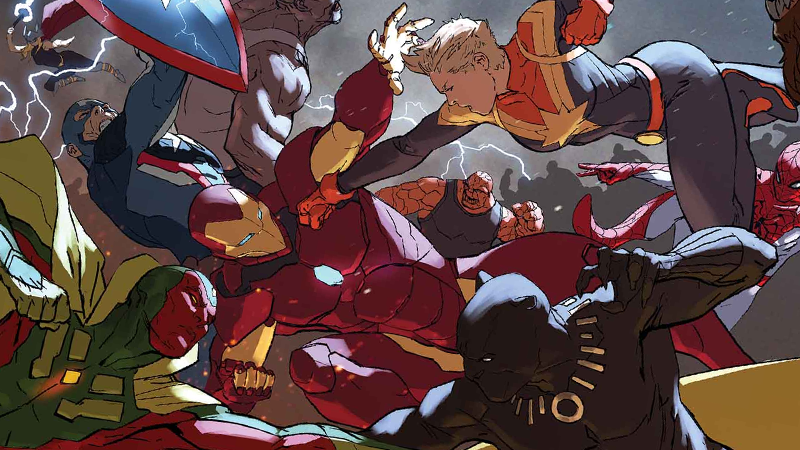 With Civil War II #5 out this week, my io9 colleague James Whitbrook and I got together to talk about the problems bogging down the event and the main Civil War II miniseries. Evan Narcisse: It feels like Civil War II has been going on forever and, with each new issue of the main series, my desire for it to be over intensifies. 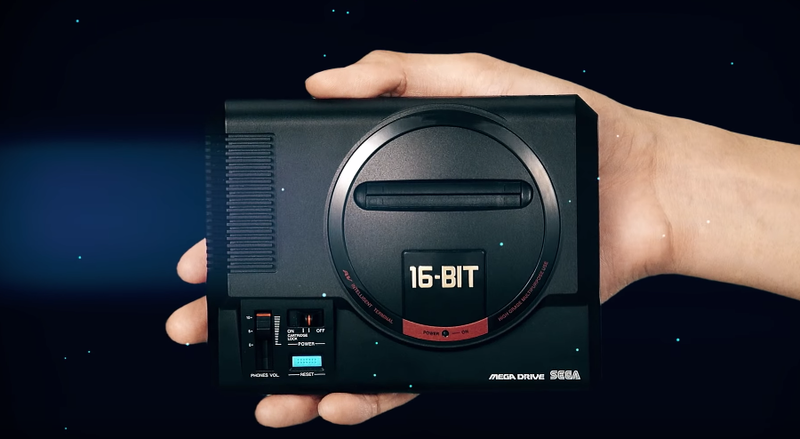 I can't remember the last time a crossover bothered me this much. DC's Convergence last year was dumb but offered great fan service, at least. This doesn't have that going for it. 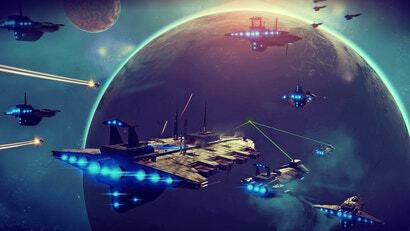 James Whitbrook: While I'm liking it more than the original Civil War — admittedly not a high barrier to pass — I agree on wanting this spiritual sequel over. Give me Ulysses' vision where Tony and Carol realise how thick-headed they're being and actually work together as heroes again. The fan service is actually a really interesting point to bring up — that's something Secret Wars had in spades, while telling its story, especially in all the fun spinoffs. Civil War II feels like fan disservice, where your favourite characters are all doing things you don't want them to do for some spectacularly not-great reasons... especially Carol. Evan: That's a great point. The plot just feels like a skeleton made of stunt after stunt after stunt. None of the drama feels earned and every issue feels engineered to try and explode the internet. Didn't they promise "it's a Civil War so somebody major's gonna definitely die!" during the run-up? That felt crass, but the way that they have killed Rhodey and Bruce Banner in a way that feels even worse, like bad fan fiction. It's the cape comics equivalent of a telenovella. Part of the problem I have with this event is the structure. 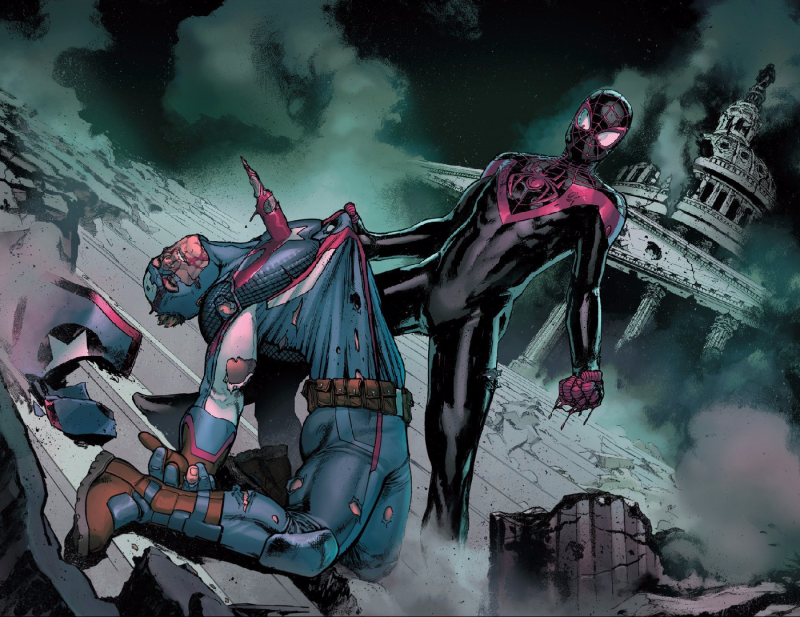 Coming after the deliberately seeded Secret Wars, Civil War II feels like a pimple that just popped up on the forehead of the newly reformed universe. For example, Ulysses only exists to create this story. He doesn't tap into longstanding tensions like Civil War I's Superhuman Registration Act, which called back to old mutant prejudice storylines. 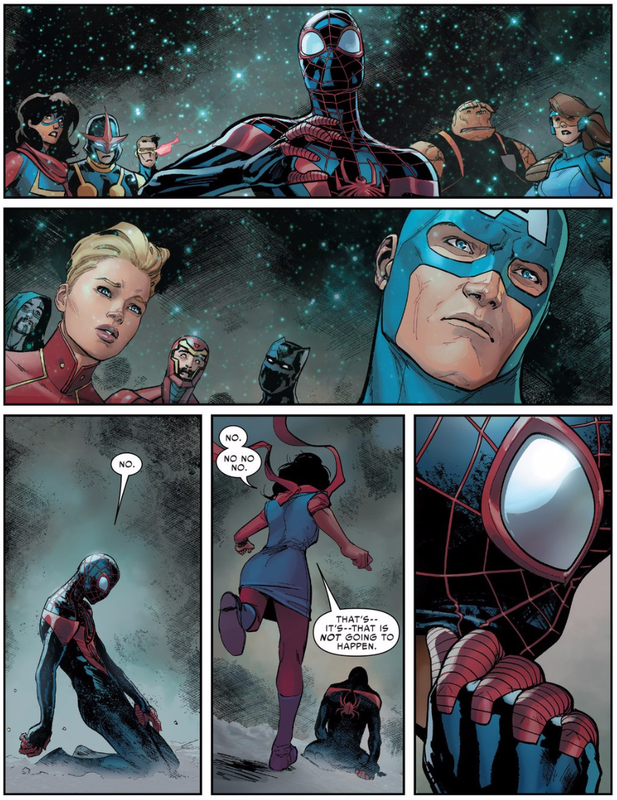 James: The big thing they teased when it first began was one hero killing another in a vision, and the superhero community dividing over what they should do to prevent it — which, now it's pretty clear they're talking about Miles Morales/Ultimate Spider-Man and Steve Rogers/Captain America in this week's issue. But then you also had the Hulk's death in issue three, for no apparent reason other than the fact Marvel felt like it would make a great headline. And I think that's why Civil War II feels so strange: it doesn't feel like there was an organic build-up, like you mention. The Marvel universe had just become all-new, all-different, and then suddenly they're all at each other's throats. I definitely agree about it feeling like there's no hook or no lasting beef that brought this about. Ulysses came out of nowhere for this event, and everything is about him. It's not about the relationships between the heroes involved, it's about this walking plot device that came out of a cocoon one day. At least with the Superhero Registration Act, the big appeal was about two long-time friends coming to blows over beliefs they'd both strongly held for years (although Tony was pushed a little more than he should have been). You don't feel that between Tony and Carol, so Civil War II is drained of any emotional impact it has. Evan: And they keep making mention of Rhodey to create a sense of the stakes but it rings hollow every time. Part of the problem has been the coordination and scheduling. Rhodey died months ago but we only see Tony react to it last month. Even if you allow for a moving window of an individual series' pacing, that lagging behind also robs the proceedings of any emotional impact. I also feel like they're doing Miles Morales a disservice here. He just got to the main 616-universe and hasn't had a chance to establish a tone or a rhythm in his own series. Then this? I get it from a thematic standpoint — newbie Spidey fucks up (but is really in the right!) and kills Greatest Generation super-grandad — but, again, the drama feels unearned. Not to mention, having a young black kid kill the symbol of America — even if Steve is evil now — is the worst kind of fake-deep. 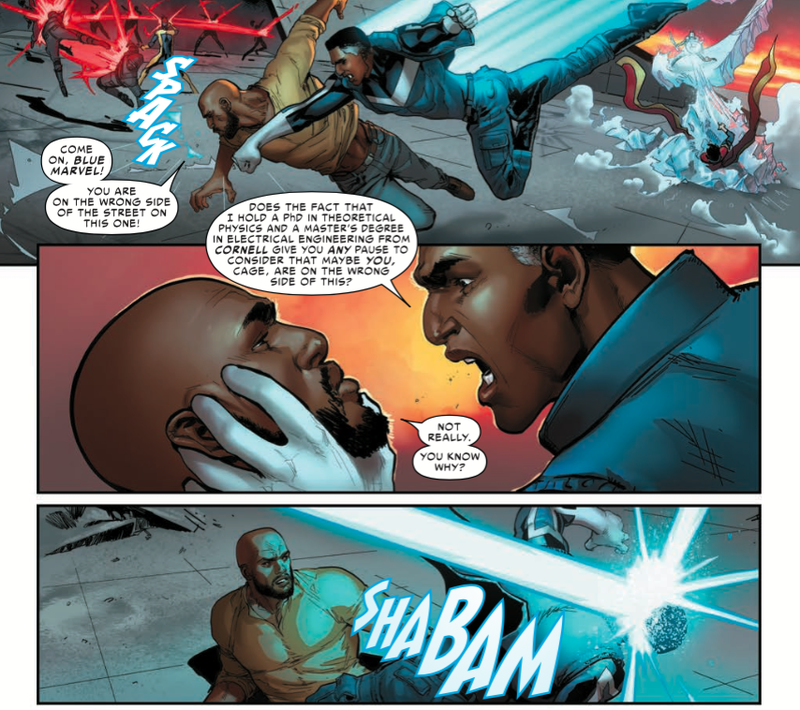 If the metatext of Civil War II is a concern about how peacekeeping authorities impinge on individual liberties, then having it manifest in this vision where Miles kills Steve Rogers is extremely heavy-handed. It screams "SUBTEXT!" in a way that will set off a million eye-rolls. James: The only part of the moment that vision goes down that felt even vaguely earned is Kamala in tears comforting him — because their relationship in All-New All-Different Avengers has been really well-done and actually had a focus. But you're right: Miles being used here doesn't feel like it makes sense other than the fact that a), he's Brian Michael Bendis' character, and b), it's a big name Marvel can slot in. He doesn't feel like he's being used because of who Miles Morales is in this universe, it feels like he's being used because of who he is in our universe — a big name that you can draw attention with by making him face imminent doom. 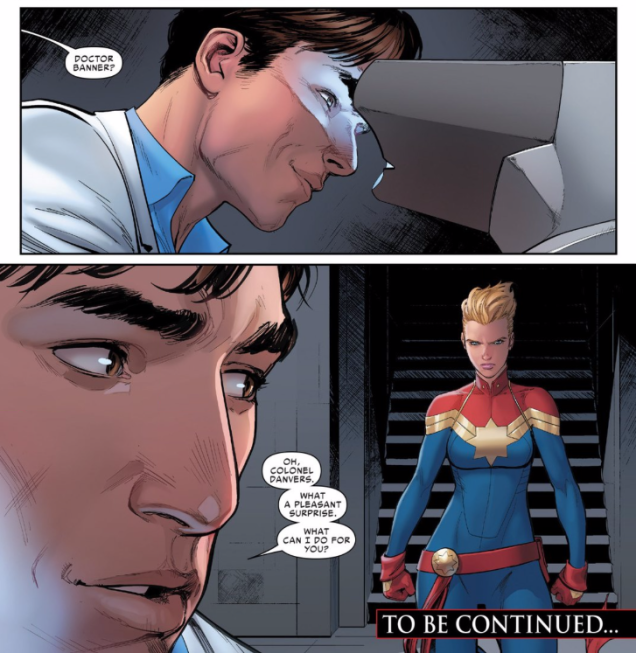 And speaking of unearned drama: How crazy is it that we're five issues — and what feels like endless months — into this series, and yet, in either the main series or any of the spinoffs, there's yet to feel like any solid reason for you to agree with Carol Danvers in this conflict? Evan: The creative team in her solo title has been exerting themselves mightily to sell it and some of it has come close to convincing me. 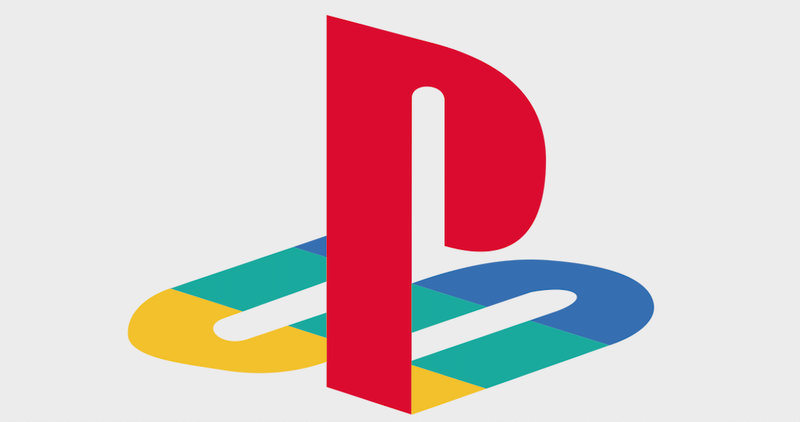 But, I keep thinking about that 10% remark from the main series and I'm like, "nope, nuh-uh." Because if you believe that she's right, there's a whole mechanism that follows that belief. I still can't manage to believe that Carol — who's been written as a strong-headed maverick who bucks authority in the past, IIRC — would be up for locking people up on a maybe. James: And considering how poorly the vast majority of instances have gone where she's acted on Ulysses' visions so far, it feels almost like a joke that she even still stands by what she's doing at this point. 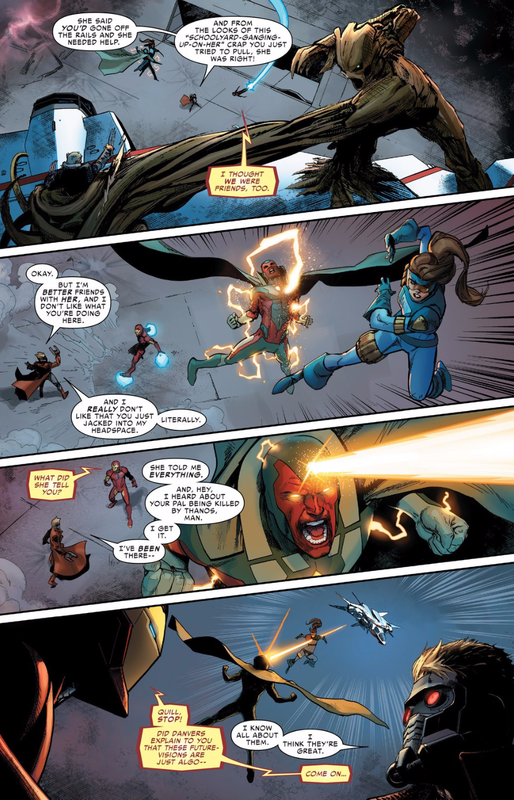 There's a great moment in Civil War II # 5 where Tony hacks into Star-Lord's helmet comms and has a quick one-to-one chat with him about why the Guardians would show up on Carol's side, and their reason isn't even that they agree with what Carol is doing, it's "She's our friend and she said you did something bad." And then, when Tony tries to explain what Carol's arguing for, out of nowhere, Star-Lord goes "Oh yeah, I think the visions are great." Tony's like "Come on!" and I'M saying the exact same thing out loud, because it feels like such a cop-out! Evan: Hahahaha! And yeah, that's supposed to be a "you Guardians so goofy moment" but it really betrays the poor premise. James: They just have this stance out of nowhere, for no real reason, and there's never any evidence as to why they should have the stance they do. 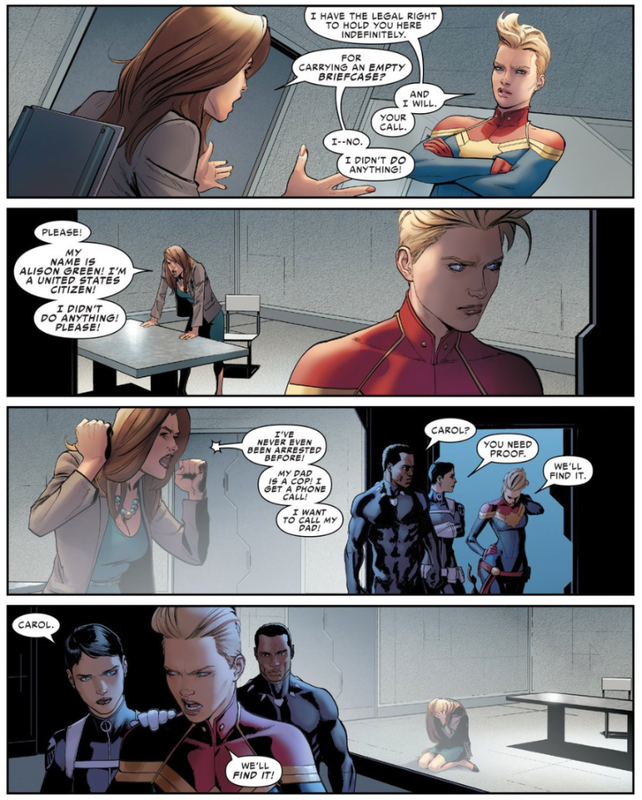 It makes Carol just seem impossible to like or agree with in this event, because I have no idea why ANY character supporting her right now actually does. So why should I? Evan: I've written before that I'm interested to see what the Marvel Universe looks like after this and that's still true. I want to see what Doom does in the power vacuum and how the Champions addresses these young heroes' crisis of faith. But I want to forget all about the catalyst for it. James: I can't help but agree. I was so happy when Marvel released those new details about Monsters Unleashed recently — and seeing a phrase like "Our heroes have to band together to face an unstoppable threat." With Civil War II dominating Marvel's current comics, I miss that so much. There's a lot of comics I'm excited for in Marvel Now, and getting to see the state of the world with characters like Doctor Doom, or Riri Williams, and what's been changed by this event. But I'm ready to move on from the actual event that brought that world state about. They might still be standing divided in Marvel Now, but at least they will be standing and not endlessly fighting about it. Bhendis isn't Morrison or Johns. The guy only ever tends to start a good story, but always seems to fail at neatly tying up the lose ends. I don't understand why Marvel keep putting him in control of events. Your lover was just murdered by a mistake you made and you are told that you could make sure that nobody else you love will suffer the same fate by pre-cognitively stopping it before it happens! Do you A) Carry the burden of your initial mistake and understand that the future is unaccountable, or B) Make your mistake a mission and fight fiercely to ensure a future where mistakes cannot happen anymore, only informed decisions? A) is obviously the healthy, actually responsible response, but B) is not unwarranted or illogical in any way. I'm just glad there is actual critics out there who do see how stupid they've taken this. $5 for no story. This is getting out of hand. And this poor writing is infecting everything. Wolverine's series seemed promising. Then it kinda was wrapped up quick and finished poorly this last ish. I mean what the hell? How do you not have the money to pay for just a little better writing?